A look back at its recent headlines and results doesn’t exactly make Chesapeake Energy (NYSE:CHK) out to be a “must-have” kind of name. Although CHK stock has held up better than the broad market this month, so too have peers like Cabot Oil & Gas (NYSE:COG) and Southwestern Energy (NYSE:SWN). The resilience from Chesapeake Energy stock may have more to do with the resilient price of oil and gas than it has to do with the company itself. On the other hand, while it’s difficult to see through the fog of change, a myriad of efforts are on the verge of finally coming together for Chesapeake Energy — all at the same time. Once they do, not only will the recent strength make sense, the market could easily justify much higher highs for CHK stock. As has been the case for most energy names, Chesapeake Energy has been a work in progress for a while. One could even argue that Chesapeake has had a tougher time than others shrugging off the impact of the 2014/2015 implosion of the fossil fuel market. 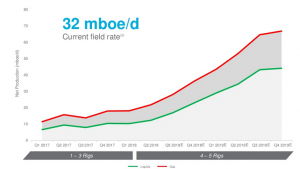 Case in point: As Thomas Scarlett pointed out less than a month ago, the most recently reported quarter indicated capital expenditures still in excess of EBITDA, while Dana Blankenhorn explained earlier this month that higher-interest rates on new debt issued to replace old debt — waiting on its Powder River Basin projects to reach full stride — was a dangerous game. In the meantime, though natural gas prices are up 20% from the multi-year low hit early this year, they’re still down from their late 2016 peak… after oil prices were well on the road to recovery. The stars aren’t exactly lining up for Chesapeake Energy. But, maybe, they’re about to. Nothing’s changed in the meantime, except the current date on the calendar. We’re closer to the end of 2018 than not, and 2019 is right around the corner. 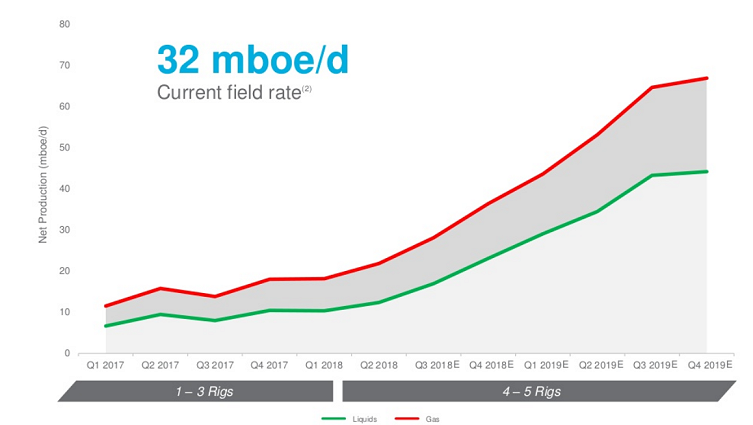 Chesapeake Energy’s business outlook posted last month still points to a doubling of the Powder River Basin’s output by the end of next year. When exactly that might happen isn’t perfectly clear — probably not even to the company. Oil and gas price volatility as well as geopolitical turmoil makes any suggested timeframe a moving target. It wouldn’t be out of line, however, to suggest we could see measurable progress on that front in the upcoming quarterly reports. Against this sort of backdrop, the seemingly unlikely strength seen from CHK stock in recent weeks makes some sense. In fact, there’s an argument to be made that Chesapeake Energy stock may actually under-reflect the potential fiscal improvements that loom ahead. In that vein, the forward-looking operating price-to-earnins ratio of 5.9 is inviting — and them some. It’s also a valuation measure that requires a major footnote. That is, the gap between GAAP and non-GAAP results is still significant from time to time, even if not gaping. The gap is narrowing though, and that projected valuation is based on earnings figures that won’t be too far away from Chesapeake’s actual, GAAP bottom line a year from now. The next step? Getting more investors to believe in the turnaround enough to get CHK stock over its technical hump. 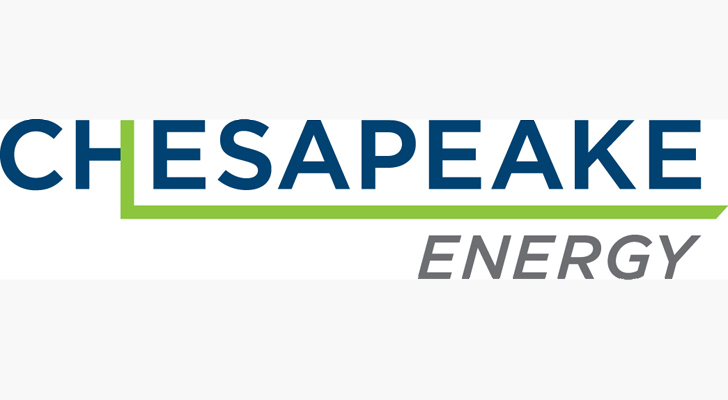 Article printed from InvestorPlace Media, https://investorplace.com/2018/10/chesapeake-energy-about-reach-critical-mass/.